Our trays combine grilled chicken and aged fajita beef with all the trimmings. 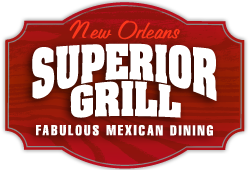 Trays are served buffet style and include the following: grilled onions, bell peppers, tomatoes, lettuce, cheddar cheese, sour cream, homemade pico de gallo and guacamole, flour tortillas, Mexican rice, refried beans, chili con queso, chips and salsa! Includes chips, salsa, and your choice of dressings. (House, Ranch, Blue Cheese, Honey Mustard and Honey Lime Vinaigrette). Each salad tray serves 10-12 people. 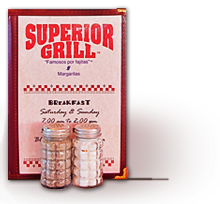 Complimentary disposable plates, napkins, flatware and serving utensils are provided. The following is a list of our Mexican favorites which may be ordered a la carte and are packaged for easy travel to your location. Choose from a variety of items and create your own combination for that special party. Please note: If an order is to be delivered, a delivery/set up fee of $25.00 (minimum) will be charged depending on distance. For your information, gratuity solely deemed appropriate by you, is not included in any of these totals or the final bill on carry out and delivery orders.